It’s hard to write about this book without spoilers. It has a lot of twists and turns and there are a lot of characters you have to deal with. The book got me right from the beginning, but the more I read the more I became irritated. Why is nobody calling the police? All characters lack emotions. They all seem so distant to the story. Simone is making one strange decision after another. She never follows one lead until the end, she always gets distracted from something else. And a lot of things happen quite handy for the story. People just open up to her, telling her immediately what she wants to know. 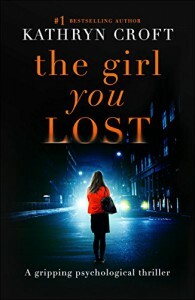 And there are also some holes in the story, for example Grace’s lost mobile phone which Simone never stops to call. And why is Simone never really worrying that something bad could have happened to Grace? She is running around looking for her and for someone she suspects but she seems not really to be worried. There are a lot of questions like that in the book. The characters just don’t react appropriate. I think the book has quite potential. The story idea is good. I also liked the writing. But the story is just full of accidents and stupid decisions. It is just an unbelievable story. I saw the final twist coming. As soon as Sienna was introduced to the story I had a feeling about that twist.